I've had some real trouble finding the ideal concealer over the past few years. I was obsessed with NARS creamy concealer for quite some time, but could never find the perfect shade. Each one I used was either leaving dark shadows under my eyes or was brightening a little too much (enter weird white patches under my eyes). Then I went over to the Sephora brand and found it creased and didn't blend nicely. When I finally landed on "The Retoucher" by Charlotte Tilbury I fell in love. Since it's more of a luxury item I still was in search of an everyday concealer. When Benefit Cosmetics re-released their Boi-ing Collection I knew I had to try out the whole line. Especially since they were releasing a new product-- the Airbrush Concealer. For whatever the case may be I seem to always come back to Benefit... I mean have you tried Roller Lash and Hoola Bronzer!? My go-to mascara and bronzer, hands down. I can never get over their playful packaging, and the products just don't disappoint. The Boi-ing Collection has 4 concealers... the original Boi-ing, whose name has changed to Boi-ing Industrial Strength Concealer, Boi-ing Hydrating Concealer, Boi-ing Brightening Concealer, and lastly, the new, Boi-ing Airbrush Concealer. For whatever your needs/problem areas are, Benefit has you covered (literally... lol). Three shades to find your match. And even better? Each concealer is the same price, only $27 CAD. Let's break it down, shall we! 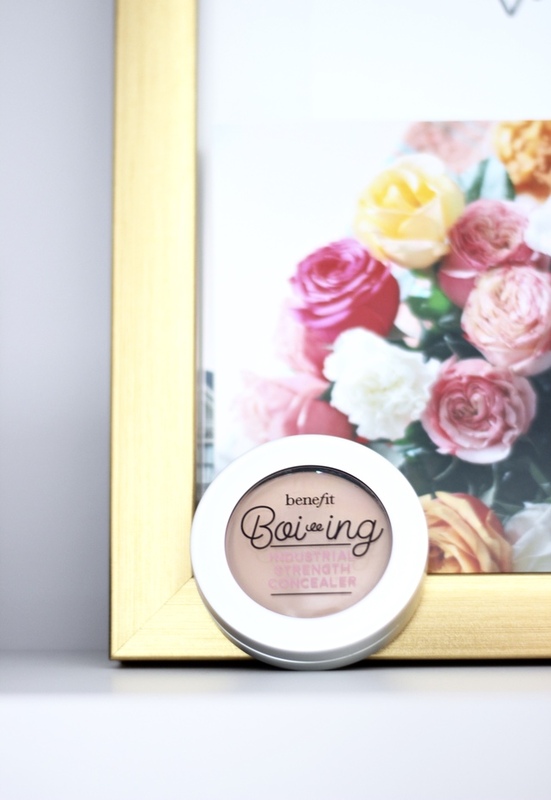 Boi-ing Hydrating Concealer: I loooove this one. It was formally called "Fake Up", which I had never used before. It comes in stick format and is perfect to take on the go. The concealer is in the middle core and is surrounded by a hydrating outer ring. I love throwing this in my purse for touch-ups throughout the day. It definitely is lighter in coverage, but it goes on so naturally. It's perfect for those dry areas, especially under the nostrils! How to use: Swipe under the eyes and blend using your ring finger. I also use this on my lips to neutralize the colour before applying lipstick. So moisturizing! 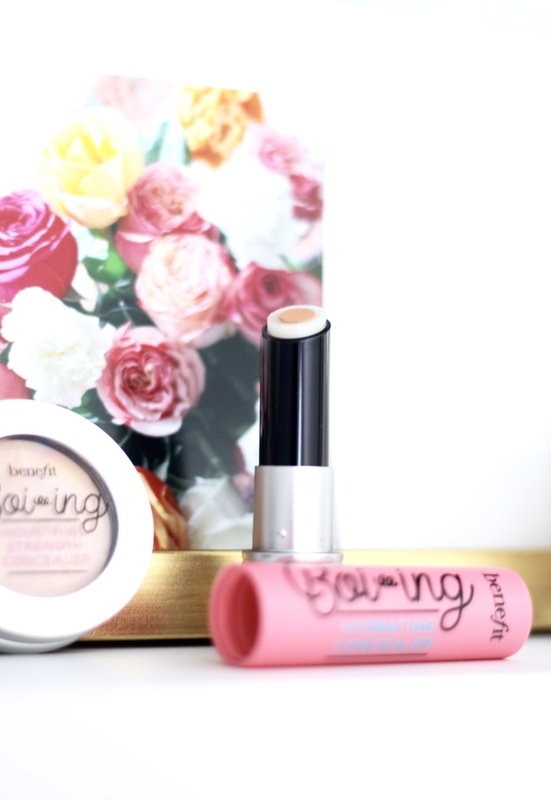 Boi-ing Brightening Concealer: This one has pink undertones. It's full coverage and used to colour correct. How to use: Dab into pot and dab onto the skin (under the eyes, for discolouration and imperfections). Boi-ing Industrial Strength Concealer: Definitely the heavy hitter of the collection. Full coverage for those brutal early mornings, random spots and nasty breakouts. I like the creamy texture and the matte finish. How to use: Dab your finger into the pot and blend. You could also use a brush for spot correcting. I also have been applying with a beauty blender to get a more concealed look and really blend it well since it's a bit thicker. Boi-ing Airbrush Concealer: Okay... So, I'm obsessed! I love the smooth finish of this one! No cracking, no creasing, no build up. It's probably my favourite in this collection of concealers. So lightweight, so creamy, and it almost feels like a whip. It covers lines, undereye circles, imperfections and you can hardly notice it's there. Did I mention it's waterproof and lasts ALL DAY- like 11 hours to be exact. In terms of coverage, it's sort of a middle ground between the hydrating concealer and industrial strength. Bottom line- you need this one in your makeup bag. How to use: Dab your finger into the pot and blend. I love using it under my eyes in the morning. I also have been applying it to my eyelids as a base before applying eyeshadow. It just makes it so fresh looking, natural and smooth. 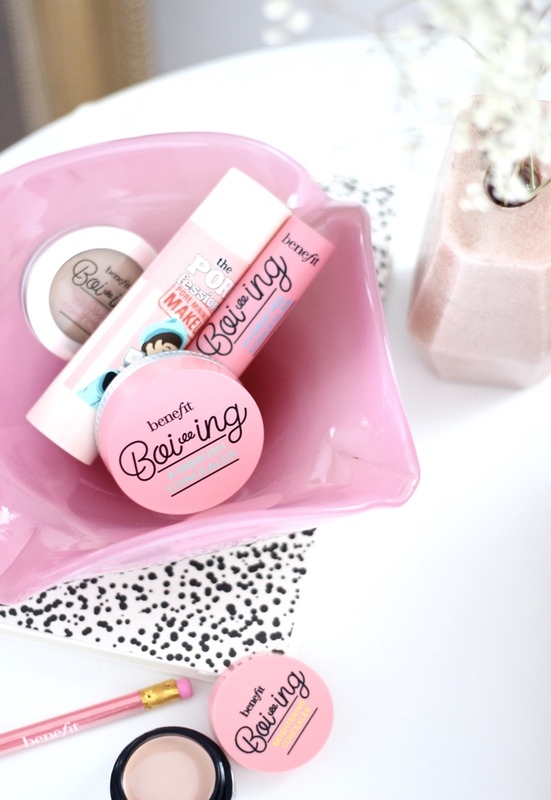 Have you tried out Benefit's Boi-ing Collection? I'd love to know if there are there any concealers you addicted to. the airbrush concealer sounds amazing! i would love to give it a go! You definitely should Abigail! I am hooked.